Welcome to the Personality Lab ! Try this short quiz to get an estimate of your strongest traits. Please note that this is NOT our full personality assessment - this is just a quiz. This quiz is only intended to estimate traits which may be prevalent in your personality style. 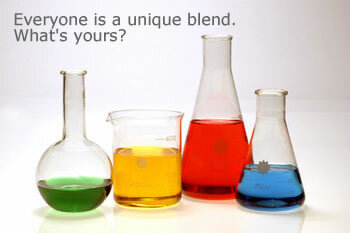 We invite you to "experiment" with this free tool to get an idea about your personality style. WORK - I will answer the following 8 items as if I am in my work environment. HOME - I will answer the following 8 items as if I am in my home environment. please email us at support@discoveryreport.com. Copyright 2012 Personality Insights Inc. and DiscoveryReport.com All rights reserved.